On Sunday 11/4/2018, the Chester County Public Safety Training Center held its Open House for the Firefighter 1 class #1802. Family members and friends of the training class had the opportunity to watch the students demonstrate many of the skills that they have been learning since class started in September. 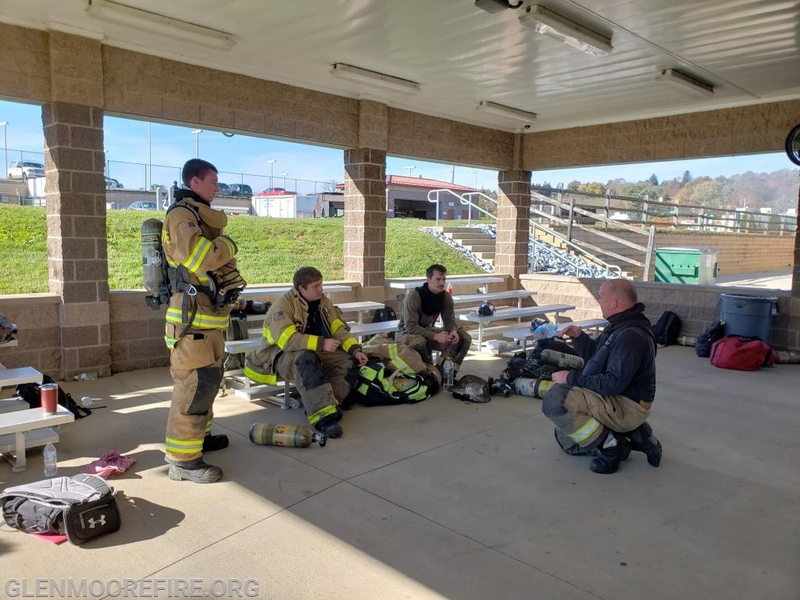 The Glen Moore Fire Company currently has five members in the Firefighter 1 training program - Max Quinn, Cassidy Scheibe, Tom Crockett, Alex DiPaolo, and Charles Kangas. The company would like to thank these members for their hard work and dedication to the fire company and the community.